Do I Have to Worry About My Petunias, Pansies and Geraniums Freezing at 32 Degrees? Half-hardy annuals, including petunias (Petunia spp.) or geraniums (Pelargonium spp.) or hardy annuals, like pansies (Viola x. wittrockiana) usually won't be adversely affected by a temperature of 32 degrees Fahrenheit. But that can depend on when they are exposed to it. Plants that have experienced a gradual cooling in fall can survive freezing better than those just planted in spring, which lack such "hardening." Still, you should cover annuals you wish to save whenever frost is forecast, as the meteorologist isn't always right about how low the temperature will go. Petunias come from South America. Petunias can potentially be perennial in U.S. Department of Agriculture plant hardiness zones 9 through 11. 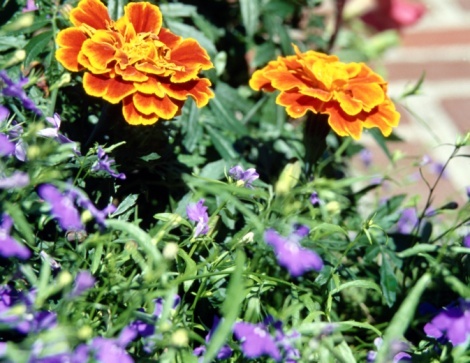 Elsewhere they are considered half-hardy annuals, which means they will survive light frosts but not heavy ones. Farmers' Almanac defines a light freeze as one caused by temperatures between 29 and 32 F. Because the weather frequently warms into Indian summer after a harsher frost, you may be able to keep your petunias blooming until late fall simply by covering them whenever the temperature threatens to drop below 29 F.
Pansies, which grow in USDA zones 5 through 10, may droop and change color after a hard freeze -- temperatures below 25 F -- but that doesn't mean they are dying. Hardier than plants from tropical regions, they can survive around 10 F. It's a good idea to cover pansies with straw or pine straw whenever forecasts call for temperatures below 20 F, as frozen roots may cause them to die of thirst. Like petunias, geraniums -- potentially perennials in USDA zones 9 through 11 -- are likely to come through a light frost unscathed. Those with thick stems probably will survive a moderate freeze, with temperatures from 25 to 28 F, though it is likely to shrivel their flowers and leaves. 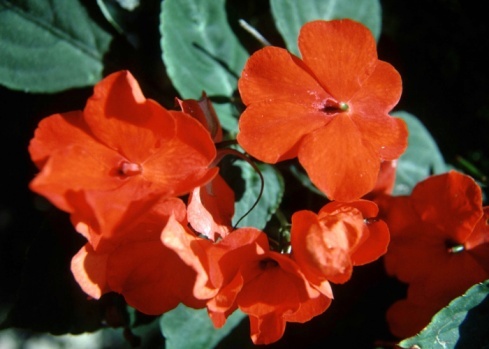 Temperatures below 25 F will kill stem tissue too, so -- with the exception of a few of the more obscure species -- geraniums usually won't survive a hard freeze. 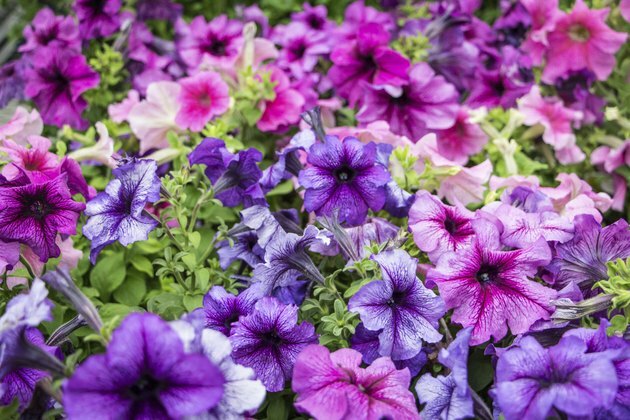 If you intend to use yours as winter houseplants, avoid damage by moving or covering them whenever temperatures are slated to fall below 29 F.
If your petunias or geraniums are growing in containers when frost threatens, move those containers to a roofed and warmer spot, such as a garage or porch, temporarily. Plants in the ground can be protected with porous "caps" such as large clay flower pots, tented newspapers and cardboard boxes. If you have row or frost covers, you can lay them over the plants, but sheets or lightweight blankets generally will work as well. For a light frost, you can toss one of those coverings over the plants. If a moderate to hard freeze is predicted, use stakes to suspend the covering above the plants so it surrounds them on all sides without actually touching them. Can You Use Black Garbage Bags to Cover Plants From the Cold? Are Petunias Annual or Perennial?